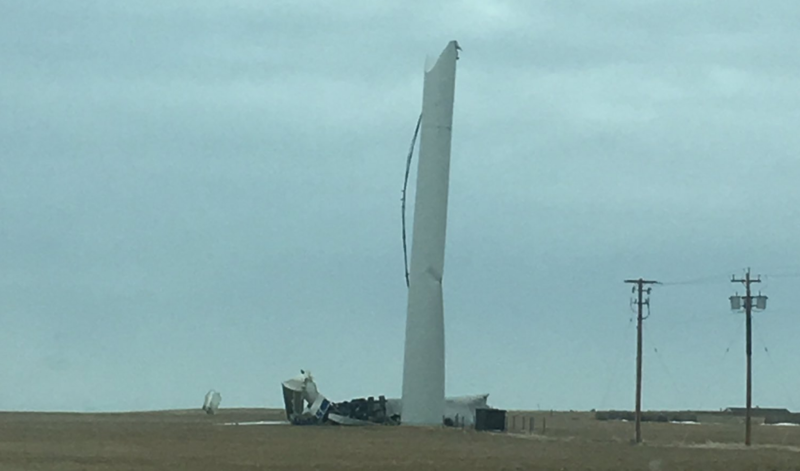 Acadien Cape Bretoner, Chris, tweeted a photo of a windmill that has broken in half in Grand Étang. He said it occurred during the Suête(S-E) winds, a term originating from Acadian French, as a contraction of south-east ("sud est"). Grand Étang has recorded wind speeds of over 200 km/hour on several occasions. The winds in Grand Etang broke a windmill in half. Wow they're going to have to start testing Windmills at Grand Etang to see if they're wind proof!! lol Strong winds there!